For a while now I've been pondering my brain for a post idea that was meaningful and personal that would also send a good message out to anyone who wishes to read it, and then when I was in the shower, as all good ideas come when you're in the shower, it hit me. Like a little light bulb lit up above my head. For a good few months now I've been feeling really low about myself, which is not like me. I was such a confident person and was so happy within myself, and I guess as I've grown up and matured a bit more and life has changed so much that I'm having to almost find myself again. When I say feeling down about myself I don't just mean the odd huff here and there because I've put on a bit of weight or I don't like my hair, I've been overthinking things I didn't used to. It all sparked because I gained a few pounds but then it kind of tumble weeded and I started to think about what other people thought of me. What if people think I'm mean for saying that? What if people think I'm stupid because I've forgotten something? What if they're looking at me thinking 'she's put on weight'? What if they don't like me? I guess I let one insecurity spark some more, which I shouldn't have done. Something that only my closest friends and boyfriend know is that I suffer with Anxiety. I haven't been properly diagnosed but I know I have it, I've suffered with panic attacks since I was in secondary school and my mind is pretty much always in over drive overthinking the smallest of things. However, I've realised that I just need to get back to my roots. 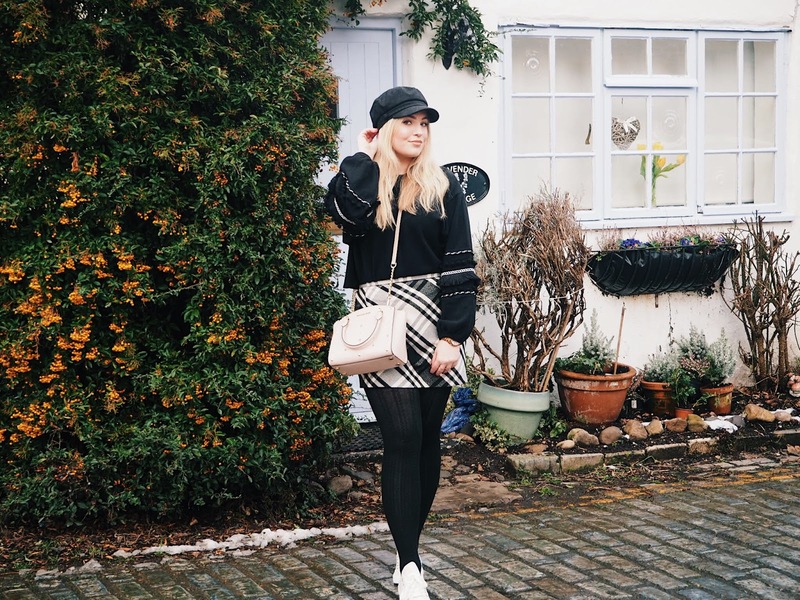 Life got so hectic with work, Uni and family life that I forgot to take time out for me (and my little blog) so I've decided it's time to work on myself. By that I mean get healthier, lose the weight I put on, work on something that I love doing, create things and start to really enjoy life again. My weight does not define me. I can be forgetful. Sometimes I get annoyed a little too easily. I can let stressful situations get me down. You work to live, you don't live to work. I achieve something every day as my blog views go up. I'm funny. I have amazing people around me. I'm kind. I'd prefer to wear a baggy jumper and joggers over a dress any day. I'm pretty, even without make up. I need to work on my time keeping skills. I got a 1st in a Uni assignment with the rest pretty much all 2:1s, when an A was never in sight at school or college. I'm creative. I'm motivated. I'm talented. I'm me. These are some of the things that make up who I am, some good, some bad. It's hard to beat insecurities and learn to love yourself but every now and then it's good to sit down and remind yourself that you're actually doing ok. If you're reading this then I hope you liked it, and I'd love for you to put something that you love about yourself down below in the comments. Let's spread the positivity, especially as it's Mental Health Awareness week! This is such a lovely post! I've recently suffered it the other way round where I have lost a bit of weight and people have almost made me feel bad about it but it hasn't really worked as I'm happier then ever! I think it's great that you are happy and you should carry on doing exactly what you are doing! A great way to spread awareness!